Are You a Victim of Social Media Distraction? During the past couple of weeks two of my clients and one personal friend have complained to me that they are unable to complete their daily tasks because of all of the distractions in their life. When I asked them to describe these distractions so that I could help them move past them it turned out in all three cases they were referring to social media in general and Facebook more specifically. This phenomenon is known the world over as “social media distraction”. “And how does Facebook keep you from getting your work done?” I asked innocently. Each of these people went on to tell me that they hear a sound whenever something happens there, such as a new update, someone “Liking” their update or an update they have commented on, and so forth. It’s social media distraction at its worst. At first I was speechless but once I found my voice I had the solution. And no, I am not talking about the sound on your computer. What I am vehemently recommending is that you log out of Facebook and any other offending sites and close the window while you are working. You do not have to give in to social media distraction – it’s a choice. And if you are an employee, shame on you for doing this while on the clock and being paid by someone to achieve certain tasks and goals. I think of social media as having two purposes in our lives. As an online marketer, the first purpose is for me to share content related to my business and to connect with my prospects and clients. I lump this all together and call it marketing. 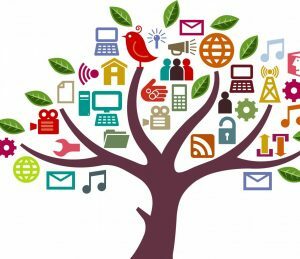 You may be connected to family and friends on social media so growing your business with online marketing is not truly a possibility for you. It’s a choice. The second purpose of social media is purely social and even voyeuristic in nature. Late in the evenings I love to watch a cat video, “Like” someone’s post, add a comment to an interesting thread, upload a photo, or even to share what someone else has posted with others who may not have seen it. The first purpose helps me to earn my living; the second is simply for entertainment value. Since starting my online business eleven years ago, when social media was in its infancy I have never permitted myself to spend more than fifteen minutes during any twenty-four hour period on any social media sites combined. Some days I don’t even put in my fifteen minutes. Again, this is a choice. Why do I continue to make this choice? Because years from now I want to be known for the books I have written, the businesses I have grown, the people and businesses I have helped, and the life I have lived offline. You remember offline? It’s that real world where you hear, feel, touch, and look other human beings in the eye. The alternative choice is not appealing to me at all. I do not care to be remembered for the virtual interactions I had with people I do not even know and have never had the pleasure to meet. And even the thought that I would not have written books, traveled the world, spent time every day with other human beings, and built an amazing business from the ground up because I was distracted by something, anything on a computer screen? No thank you. 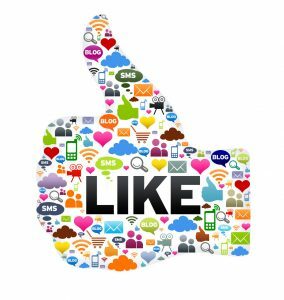 Believe it or not, I love social media and cannot imagine our world without sites like Twitter, Facebook, LinkedIn, YouTube, and Instagram. And the historical, economical, and political implications have changed our world forever, mostly in positive ways. But being constantly alerted to updates and distracted to the point of not completing tasks and activities in my daily life – never! This entry was posted in Online Marketing Tips and tagged Distraction, Just, Media, Social, Turn on April 13, 2017 by Connie Ragen Green. Do Affiliate Marketing and Social Media Fit Well Together? Affiliate marketing and social media might seem to go together like peanut butter and chocolate – but do they really? Let’s explore the myths and the facts around promoting affiliate products on social media sites. First of all, think about why you joined social media in the first place. Most likely it was to connect with your friends and family and to share photos, videos, and updates. You may have gone along this road for several years before you had the idea to get involved with affiliate marketing on some level. So you posted a link to the latest product or course or service and kept your fingers crossed that someone, anyone would click on your link and buy what you were promoting. It probably didn’t turn out this way at all. Maybe friends and family members thought your social media profile had been hacked, or maybe they were offended that you would post such a thing. No matter what the outcome, you should not have been surprised. 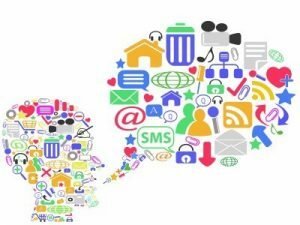 So now let’s discuss the most effective way to use affiliate marketing and social media in unison. I like to think of this as starting a conversation around a topic of interest to many and then drilling down to a more focused discussion about something much more specific. Let’s use dogs as an example. I own several little dogs (actually, they own me!) and I like to share photos of them on my Facebook page from time to time. It seems that most of my friends love small dogs because they are cute and sometimes act silly. So let’s say that I’d like to recommend a product on how to prepare natural, healthy food for your dog through my affiliate link. Even though the majority of my Facebook friends are willing to “like” or even “love” my post about how my Yorkie is snoring once again, very few will be interested in cooking healthy meals for their dogs. But I believe that out of my almost five thousand friends there will be a small percentage who are interested, so I’m willing to go for it. I start the conversation with a photo of my dog sleeping in her basket and make a comment about her snoring. As people begin to comment I gently turn the conversation towards the food I have been preparing for her. If even one person asks me a question about this or shares their own experience in this area, then I will add my link to the product and share why it is a worthwhile one to check out. What is even more effective is if you create a Facebook page on your general topic and then make recommendations there over time. I would recommend making it breed specific and addressing the common concerns of owners of this breed. Then people who like that page would be good prospects for what you will promote. Does this make sense? Social media and affiliate marketing can indeed be a good match when you approach it in a logical way where everyone benefits. I’m Connie Ragen Green, online marketing strategist, bestselling author, and international speaker on the topics of entrepreneurship and inner game mind shifts. Let’s connect to see how I may best serve you in the near future. And please be sure to check out my Really Simple Affiliate Marketing training course. Affiliate marketing tips will help you to achieve the success you want and deserve. And be sure to pick up a copy of my bestselling book, Huge Profits with Affiliate Marketing: How to Build an Online Empire by Recommending What You Love. This entry was posted in Online Marketing Tips and tagged Affiliate, Marketing, Media, Social on February 19, 2017 by Connie Ragen Green. When I first came online back in 2006 the only way to connect with others using the Internet was through bulletin boards and forums. It was quite primitive and sometimes technologically challenging, but it was the only way to “talk” to others who were online. You might be wondering why we didn’t use social media, and that is because this was before social media! Here are some social media tips to help you get started. Facebook was still for college students at this time, and even though I was taking classes as part of a graduate program at a university I was not aware of this site. Twitter was not even a gleam in its founders eyes, and LinkedIn was strictly for the corporate world. Once these sites opened up to the world our lives would never be the same. One of the only negative things about social media is that these sites can be a time and productivity “black hole”, meaning that you may have the perception you are working but actually you are accomplishing very little during that time. The posts and comments can also be quite negative at times, especially when it comes to sensitive topics like religion or politics. That’s why these social media tips are so valuable. I have made it a policy not to get involved in any way with anything that does not relate to my work or the people in my life. This has kept me positive and focused for all of these years. My motto has been and continues to be “Get in, get out, and get back to work!” when it comes to social media and forums. Forums are probably the best places for you to spend a little time each week. The one I prefer by far is the Earn 1K a Day forum and membership group founded and run by my good friend and mentor Dennis Becker. I’ve been a part of his group for more than five years now and have been able to connect with some of the smartest and kindest entrepreneurs in the world. I give them credit for helping me to write a few of my bestselling books, create successful online training courses, and even plan and host live events. The comaraderie is so valuable, helpful, and even comforting at times. And if you’re looking for outsourcers or joint venture partners it is second to none. These days there are most social media sites than anyone can name or think of, so be careful when it comes to how you divide up your time for each one. I recommend starting with the “big three”, Facebook, LinkedIn, and Twitter, and then adding YouTube, Google Plus, and Instagram. Don’t go any further until you have achieved your goals on these six sites in a way that makes sense for your business. And Dennis Becker’s Earn 1K a Day forum is also a must-have resource and membership. I believe you must have a strategy in place before you start spending endless hours reading, posting, and commenting in social media or forums. Instead, think of the message you want to disseminate among the people who follow you and then look for ways in which you can make that happen. In addition to the content I share regularly about my overall topic of online entrepreneurship I also include content that shows my lifestyle and the charity work and volunteering that are such a big part of my life. There is no doubt that social media makes everything we are working to accomplish as entrepreneurs more fun and interesting, but your goal must be to make sure the people you connect with know who you are and what you have to share with them in terms of your business expertise. Please leave a comment to let me know if these social media tips have been useful and helpful. I’m Connie Ragen Green, online marketing strategist, bestselling author, and international speaker on the topics of entrepreneurship and inner game mind shifts. Let’s connect to see how I may best serve you in the near future. This entry was posted in Online Marketing Tips and tagged Entrepreneurs, Forums, Media, Social on December 18, 2016 by Connie Ragen Green. Are you interested in knowing the difference between content marketing vs. social media marketing in order to provide these services for small businesses and entrepreneurs? In order to start and run a profitable content and social media management business, it’s important to understand how content marketing and social media marketing work together as well as how they are different. The best way to understand this is to look at the content marketing cycle. As a manager, consider outsourcing a lot of this, because you’ll be able to take on more clients if you outsource the creative parts of the work. Otherwise, you will need to ensure that you have enough time to create the amount of content each business owner needs you to create. Price yourself accordingly. You will also want to establish a good mixture with the most important pieces always being published first on the client’s blog or website that they own. Outside of the blog you’ll need informational pages on the website, newsworthy pieces, sharable social media content, video content, infographics, eBooks, and more that all start with being promoted on your client’s website or blog. 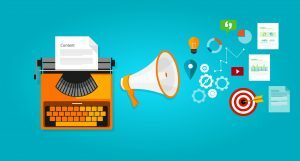 In some ways, this part of the content marketing cycle should be all in bold because it is one, if not the most, important aspect of being a content and social media manager for another business. This is what is going to get you the most bangs for your buck. Every single piece of content that is ever created and published on behalf of your client must be promoted. The days of just publishing and sitting back to wait for traffic are over. All this content creation can become overwhelming at times. But the more you learn about content marketing and social media marketing, the more you will realize that you can reuse and repurpose content across all channels. For example, if you have a blog post that is getting a lot of attention why not repurpose it into a YouTube video and vice versa? When you remember to reuse content in a new format, and repeat what is working, you’ll find that you will become invaluable to your clients because of the results you’re going to get with the work you do. If you work this hard to create the right type of content, and market it for your clients, you’ll soon become very sought after because you’re going to be getting huge results for your clients. Not only will you feel good about what you’re doing, but your clients are going to come to depend on you for your skills. Understand the similarities and differences with content marketing vs. social media marketing can be a key to building a rewarding and lucrative home business. Learn more about my Really Simple Content Marketing training course. This entry was posted in Online Marketing Tips and tagged Content, Marketing, Media, Social on November 21, 2016 by Connie Ragen Green. Social media traffic is a huge part of how people find me and my websites. So let’s get back to something super simple. And since you’re already blogging the biggest chunk of work is something you only need to do once. 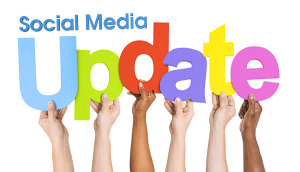 Our task right now is to make sure it is easy to share our updated (and new) content via social media. When we talked about images, I asked you to think about what social media sites are most important to you. Where is your traffic coming from? Where are you finding your target audience? Where are you making money? These are the social media sites you want to focus on here as well. I’m sure you’ve seen plenty of blogs that have a big huge list of social share buttons at the bottom of their post. Chances are all those buttons aren’t doing much good. Instead focus on your main two to three social media sites and make it easy for people to share. Do you get a lot of traction from Twitter? Make sure you make it easy to tweet out little key snippets of text from your posts. Get good results from Facebook and have your content shared around? Put a big Facebook button on those posts. Do a lot of new readers and customers find you via Pinterest? Make sure you have pin buttons on all images and pay close attention to the alt tags on your images. The alt tags will become the default description for your pins. So be descriptive and inviting. Try a few different types of calls to action and see what gets you the biggest click through rates. Let’s break it down. There are two different types of work you’ve got to do here. The first is to make sure you have the share buttons in place you need on your blog. 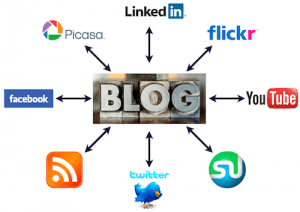 The second part is to pay attention as you create or revive your blog posts. Make sure your alt tags are descriptive for Pinterest. Make sure you pick good tweetable quotes for Twitter. And make sure your images and descriptions do well in Facebook. If you don’t like the text Facebook auto pulls from your posts, try adding a different one in the meta description box in WordPress. Got it? Great – go do that for your blog and the blog post you’re reworking right now and I’ll meet you back here when you’re done. Now comes the exciting part. Everything is updated and ready to go. If you haven’t already done so republish or hit safe. Go look at your post and make sure everything looks the way you want it to. Try the links. Are they all working and are your affiliate links tracking ok? Great. Now it’s time to get the ball rolling and give the post a little head start to get some traction. Change the publish date to today’s date so your post shows up on the home page on your blog and gets send out via RSS feeds. This alone will get some traffic coming to the new post and people may just share via social media etc. Speaking of which… now is a great time for you to send out some of those social signals and make sure the stuff starts to get shared around on your best social media sites. Go ahead and pin your images. Then go back and re-pin it to one or two of your favorite group boards as it applies. Share the post on Facebook, to your personal profile, pages you manage and groups as well. Don’t spam, but share it freely where it is welcome. Don’t forget to tweet it a few times today as well. And work your mojo on whatever other social media sites you participate in. The idea here is to get the traffic rolling and get things started. From here it will spread around. Some posts will do great and get you a bunch of traffic for a while, others may not. But they may surprise you a few months down the road. The key is to get the ball rolling and spread the word about your revived post. If nothing else, it will make sure that Google quickly indexes the changes. And you might just pick up a few new readers along the way. This entry was posted in Online Marketing Tips and tagged Blog, Media, Posts, Social, Traffic on September 15, 2016 by Connie Ragen Green. A reader contacted me recently to discuss using social media to build her business. She says that she is an introvert and that she doesn’t feel comfortable spending so much time on the various social media sites in order to build her business quickly. Being an introvert myself, I feel like this is a topic that deserves further discussion. Being an early adopter of social media, my motto from day one was to “get in, get out, and get back to work”. When Facebook opened its doors to the general public in 2008 (prior to this it was intended only for college students who had an email address issued by the institution they were attending) we were all faced with the dilemma of deciding how much information was enough and how to best connect with other people so as to promote our businesses. Twitter came to life soon after, and this further complicated the issue in that we only had one hundred and forty characters in which to grab someone’s attention. In some ways this was a relief, as we could quickly announce where we were or what we were having for lunch and at least feel like we were a part of the conversation. Over time this gave way to being able to post pictures via a third part application such as Instagram, so that our followers could at least have a visual of what we were sharing through our carefully chosen words. Fast forward to 2016, and social media has now gone through an even more sophisticated incarnation. Think of it as a way to syndicate your content in cyberspace. For example, the post you are reading here will already have made its way from an offline publication I write for monthly, to a half dozen social media sites before it ever hits the electronic format you are reading here on my blog. Thinking of it in this way allows you the time to carefully put together your message in a way that will tell the story of who you are, what you have to offer, what’s new in your industry, and how it will benefit your target audience long before you hit “send” or “reply” on your computer. Add to this the ability for you to start and continue a dialog with your market and you have the perfect storm for no cost advertising and reputation building. When you think of social media in this way it changes your perspective quite a bit, I would imagine. Get started by reviewing your profiles on Twitter, Facebook, LinkedIn, and any other sites you wish to get involved with to promote and grow your business. Start slowly, making sure to have a picture that adequately represents you (actually looks like you! ), and that your information is clear, concise, and up to date. Assume that people who connect with you will want to reach out and do so through your website, the telephone, and even in person. Would an image or a video be helpful here? How can I best share my business values? What do I want people to do after they connect with me? Now jump in and make some posts and updates to your main profiles. Start slowly, giving some detailed information about something directly related to your business or your personal values. For example, you may wish to mention that you are at your Rotary Club meeting and listening to a speaker on a specific topic. Over time this will become more fun, as the people you are with are most likely also on social media and will like it when you include them in your posts and updates. This is an example of how we all help each other using social media marketing. As you can see, spending time on social media can be a worthwhile venture. Set up your profiles, observe what others are doing, and then get started right away to share your message and your business with prospects near and far. What other questions do you have about social media marketing? This entry was posted in Online Marketing Tips and tagged 2016, Marketing, Media, Social, Update on February 1, 2016 by Connie Ragen Green.